Microsoft is currently working on their next big feature update to Windows 10, codenamed 19H1 which adds some exciting new features and improvements to the platform. With this build, Microsoft is primarily focussed on the end user experience, improving the already existing features and offering a more stable OS experience for their customers. 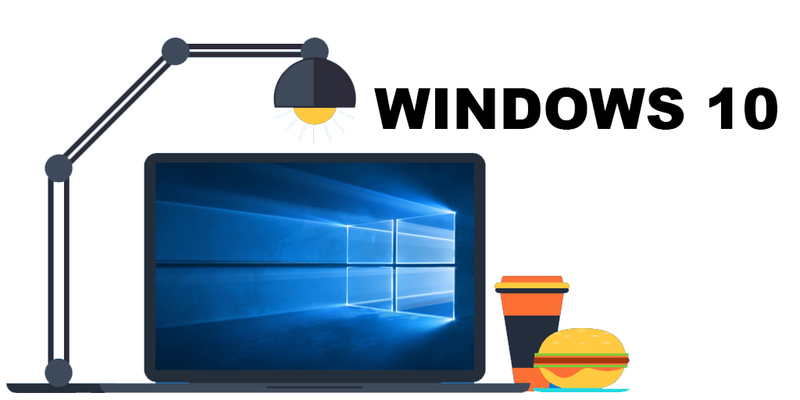 Let's dive into the update and look over some of the key new features and improvements customers can expect from Windows 10 19H1 when it arrives. While companies like Apple introduced a Dark Mode for the first time on macOS with Mojave, Microsoft is introducing its customers to a light mode. 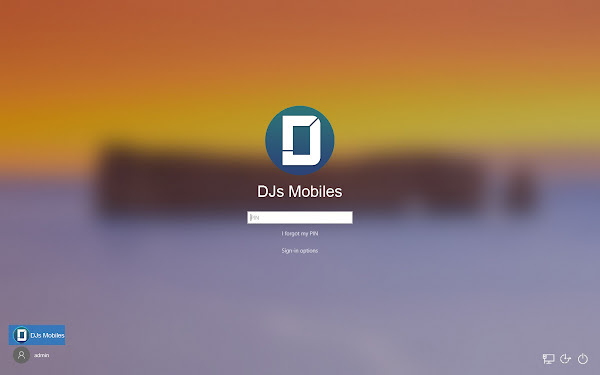 This visual change switches the usual dark taskbar, Start menu, Action Center, touch keyboard, popups, and related menus and buttons from dark to light. This is a refreshing change to the overall look of Windows, giving it a more modern feel. This also makes Windows more consistent across its interfaces, which in the past were a hybrid of dark and light. 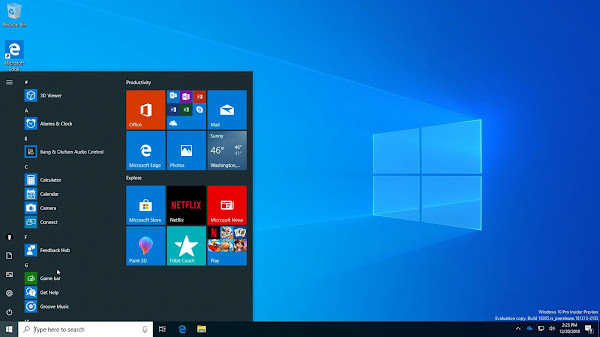 Microsoft will make the new light mode default for Windows 10 Home devices that come with Windows 10 19H1 pre-installed. Windows 10 Pro and Windows 10 Enterprise PCs will have the dark mode on default, but customers will always be able to switch between the mode they like better. 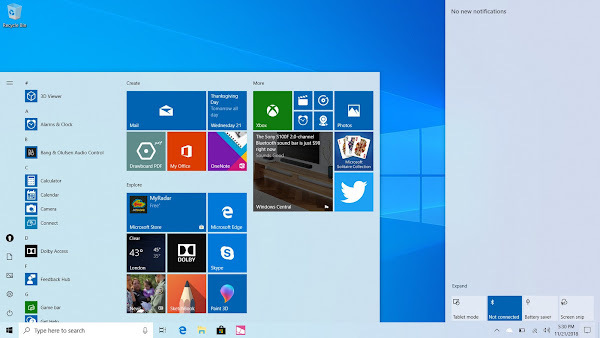 Microsoft has also updated the default Start Layout on Windows 10 19H1, by making it simpler. In previous versions, the Start Menu would appear cluttered with several unnecessary apps when the user set up their accounts for the first time. Starting with 19H1, this default layout has been simplified to just two groups of six apps in one column, placing the essentials first and foremost. Microsoft will still continue to push third-party apps through the Microsoft Store by default, but these apps and games will be packed away in a folder on the Start Menu. This new Start Menu is much more approachable by the user, offering a great starting point for using your new Windows device. Microsoft Fluent Design language has been adopted in even more places across Windows 10 19H1. Certain system elements like context menus and popups now feature a wonderful drop shadow effect, which looks excellent with the new light theme. In addition, jump lists and context menus in Start, Taskbar and modern apps now feature Fluent Design reveal and acrylic effects, which provide a nice blur aesthetic to many areas that uses modern context menu controls. Quick Actions are being updated in Windows 10 19H1, with improvements to the edit mode for quick actions in a major way. No longer will the user be thrown into Settings to edit what shows up in quick actions, instead of being entered into a dedicated edit mode that lets the user configure what quick actions are available directly from within the Action Center. Additionally, Microsoft has changed the brightness quick action from a button to a dedicated slider that can be pinned to quick actions in the Action Center. 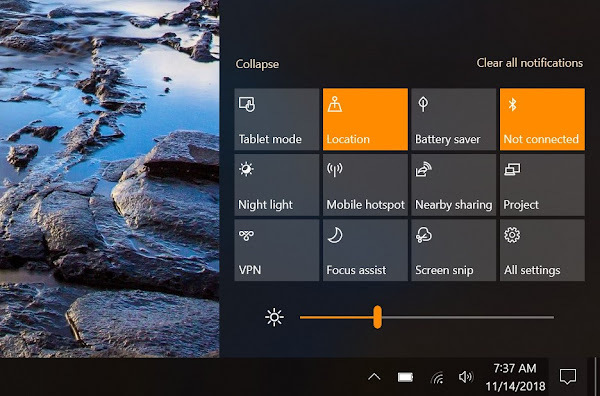 Users have been requesting Microsoft add a dedicated brightness slider to quick actions for years, and Microsoft is finally doing it with 19H1. 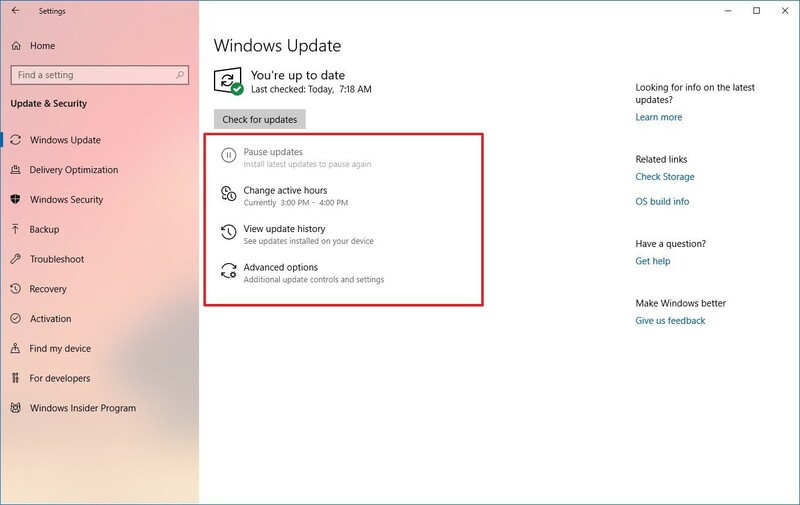 Finally, Microsoft has changed up the Windows Update UI slightly so that many configurable options and settings are available at the forefront of Windows Update. 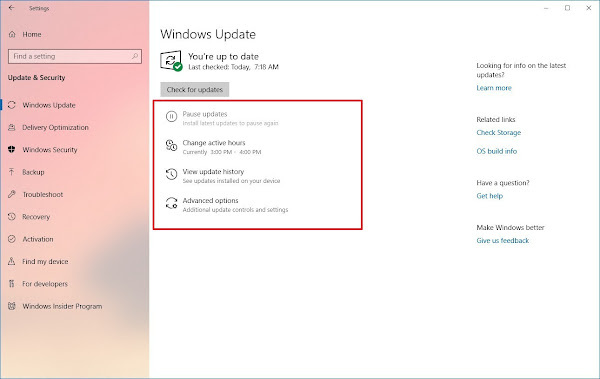 Features like the ability to pause updates is now available to the user without having to dive into advanced options. 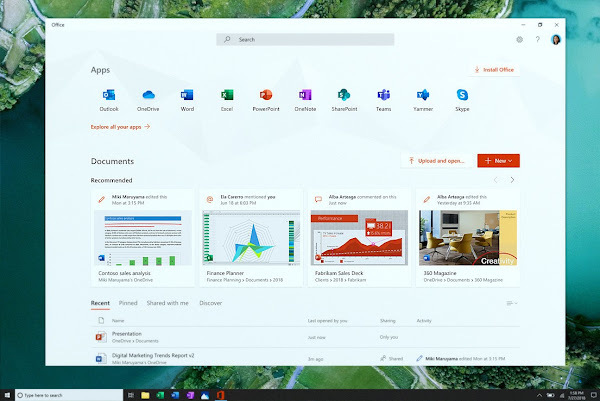 The pre-installed Office for Windows app has a new look, which emphasizes recent documents and Office web apps. It's a much cleaner looking app and makes jumping into your recent documents very easy, as well as creating new documents on the fly. These are just a few of the features you will come across when Microsoft releases Windows 10 19H1 this year. 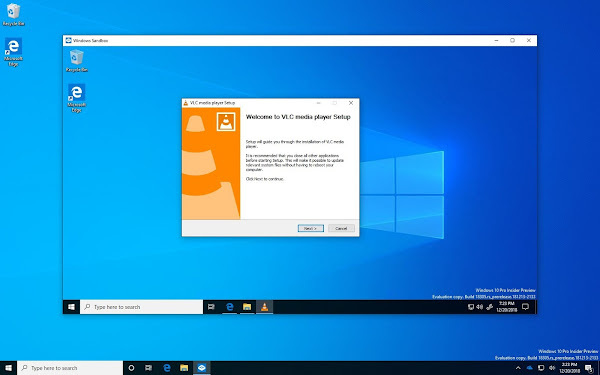 Besides that expect several minor improvements and underlying changes to the platform as Microsoft polishes the latest version of Windows ahead of its release. Windows Insiders will be the first to experience some of these features, and if you are part of the program, your feedback could help shape the future of Windows.